Date: Feb 16 2019, 2 a.m. 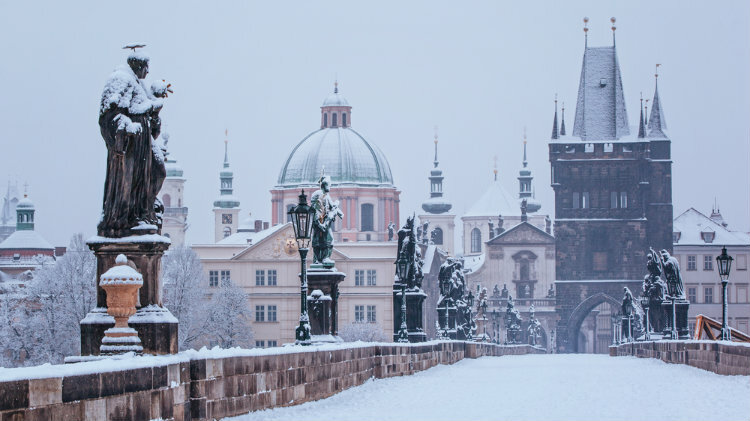 Enjoy a day in Prague, the Bohemian capital, where the sight seeing opportunities are endless. Czechs say “All cities are jealous of Paris, but Paris is jealous of Prague.” and your friends will be jealous of you while you stroll across Charles Bridge, visit Prague Castle, return to the Soviet era at the KGB Museum or inside a nuclear bunker, admire the Old Town Square and astronomical clock, and sample Bohemian craft beers in a brew pub. With no set schedule or tour guide to follow, you are free to explore Prague in your own way and at your own pace. Part of Prague’s charm is the many unique attractions hidden along the side streets. Don’t waste your visit to Prague by following someone else to what they want you to see. download a free e-travelguide for your phone or tablet from Army Libraries and use it to find the hidden gems which appeal the most to you. This popular trip sells out regularly. Reserve your space with Kaiserslautern Outdoor Recreation today. Children under 12: $69 p.c.